Both commercial and backyard composting reduce the need for large landfills to dispose of solid waste. ■ What are the advantages and disadvantages of landfills? 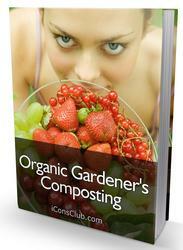 ■ List the steps in successful composting. ■ Developing plants that can take up and concentrate heavy metal pollutants in soil water is an active field of research. Would this approach effectively remove polluting metals from the environment?